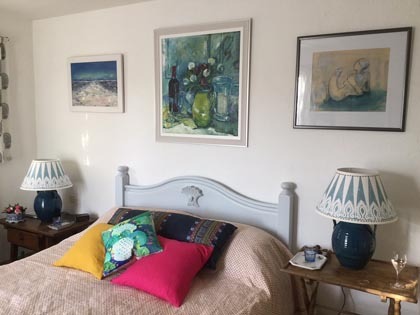 The house is on three floors with a large South-West facing terrace, which also serves as an outside eating area much used throughout the year. The swimming pool (8x4 metres) is close-by on a large separate terrace and is enclosed by wrought iron railings and a gate. 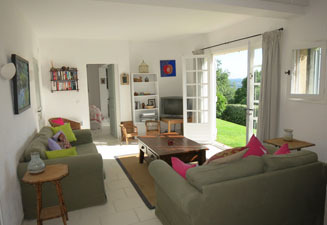 Sitting room, open log fire and dining area, hi-fi, french windows to terrace. 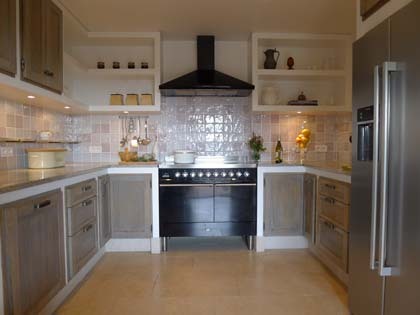 Kitchen with dishwasher, 2 electric ovens, 6 induction hobs, microwave, american fridge freezer and ice maker. 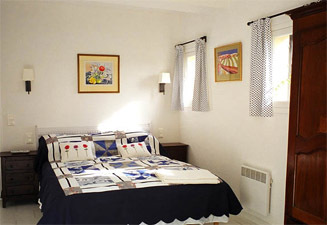 Bedroom 1 with king-size double bed and french windows to terrace. 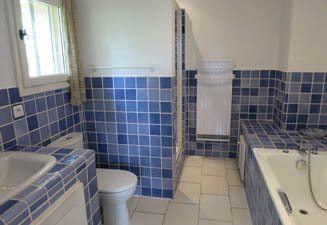 Bathroom 1; bath and shower, basin and WC. 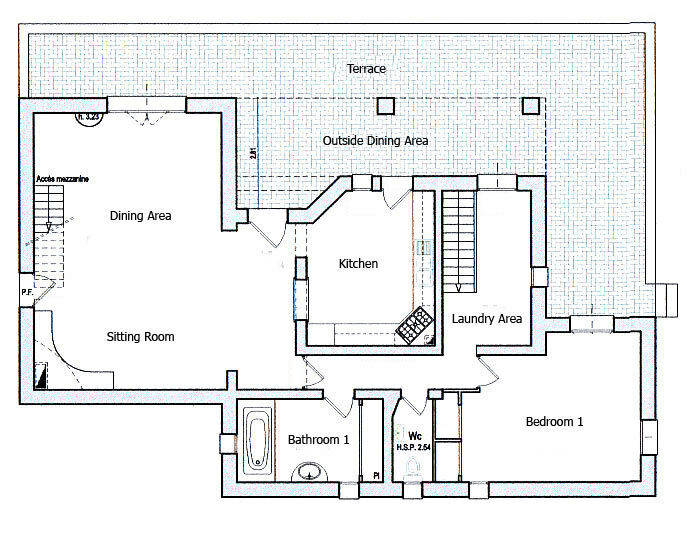 Laundry area, washing machine, tumble dryer, sink, “booze fridge”. Separate WC. Mezzanine – large desk and office area. 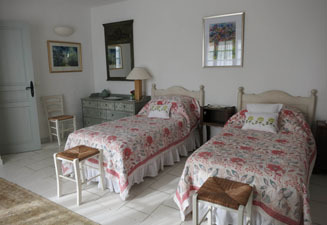 Bedroom 2 with twin beds. 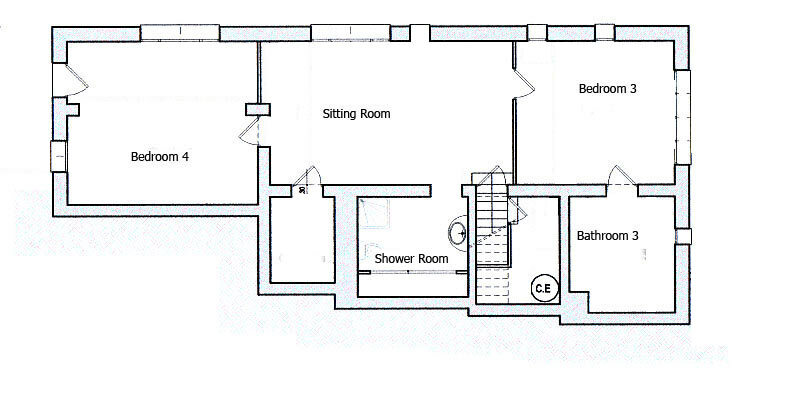 Bathroom 2; bath and shower, basin, bidet and WC. 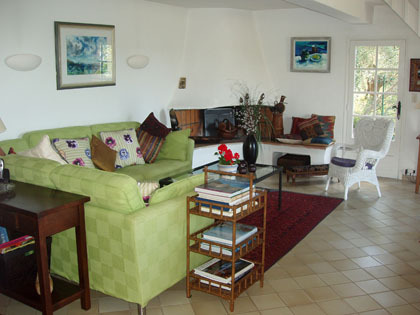 Sitting room, Satellite TV, DVD, french windows to garden. 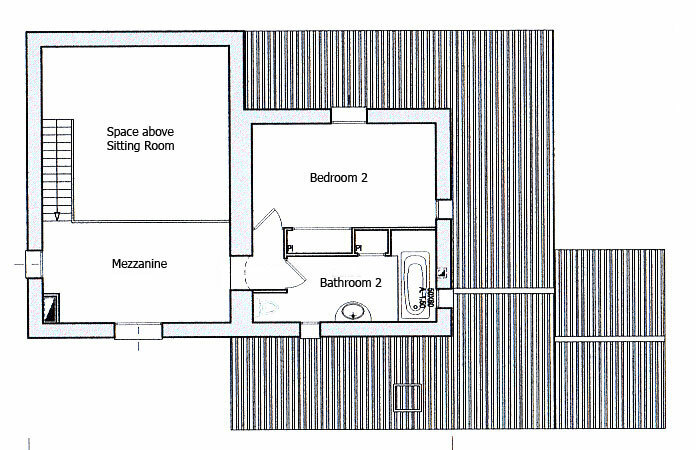 Bedroom 3, double bed, french windows to garden, en suite bathroom 3, bath, basin, separate shower, WC. 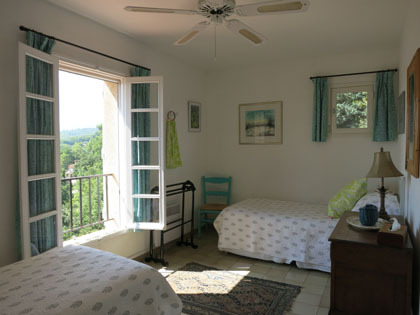 Bedroom 4, twin beds, french windows to garden. The entrance drive comes off a quiet narrow lane from the village which ends in a cul-de-sac 500m beyond the house. There is ample parking space. 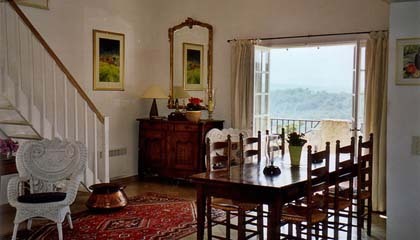 The garden is grassed terraces, oak and olive trees, with lawn and terrace at ground floor level.